Wearing this three stone ring will give you a regal feeling with its magnificent red gemstone that captures the center place. 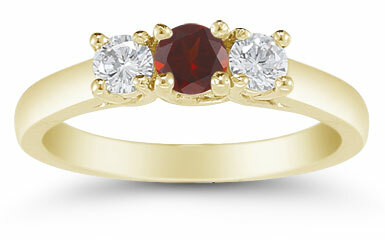 A 4mm garnet gem takes on a dignified style in this three stone combination. The garnet is surrounded by two brilliant white diamonds, each measuring 0.15 carats and casting a splendid sparkle. The garnet gemstone and the white diamonds are round cut for a luxurious look that shines. Yellow gold gives the plain, polished band a lovely glow and holds the stones secure. 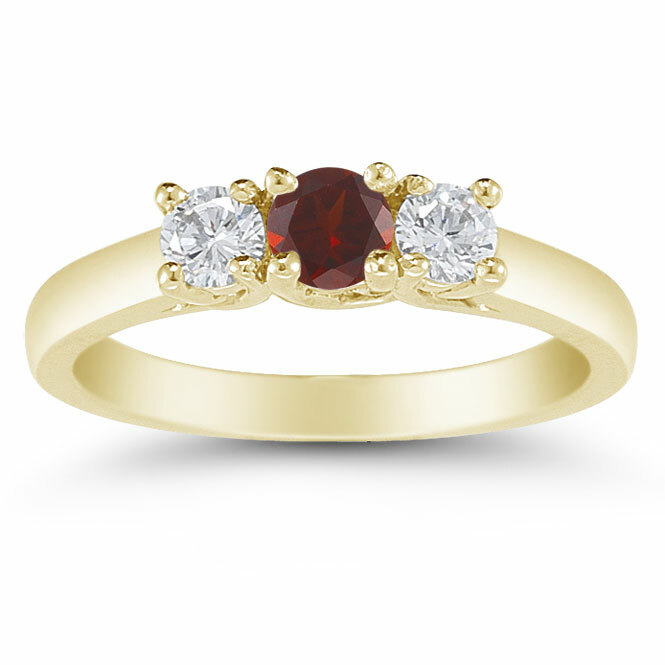 We guarantee our Three Stone Garnet and Diamond Ring, 14K Gold to be high quality, authentic jewelry, as described above.